To maintain a structurally sound surface and minimize water intrusion through cracks-which can cause problems with the sub grade. The same steps as above will apply, but we strongly suggest you visit the web site or contact the technical department of the decorative product manufacturer you have chosen. 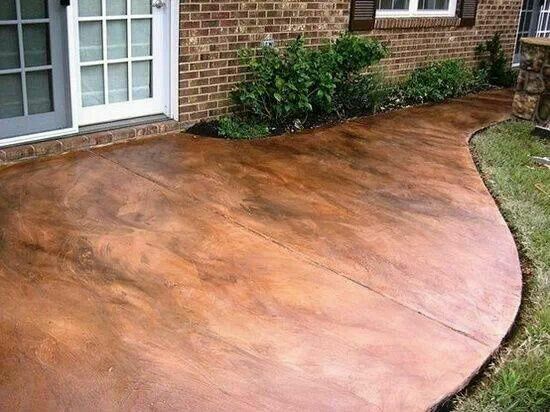 For instance, if you used a concrete topping or dressing, or a certain brand of colored concrete, or a spray on decorative finish, the technical departments of these companies will have real world experience with what works best for their products. Need advice on how to maintain your new concrete patio, we can help.